Why Did We Break Up? is back and it’s regular Tuesday slot of The Baggage Reclaim Sessions. 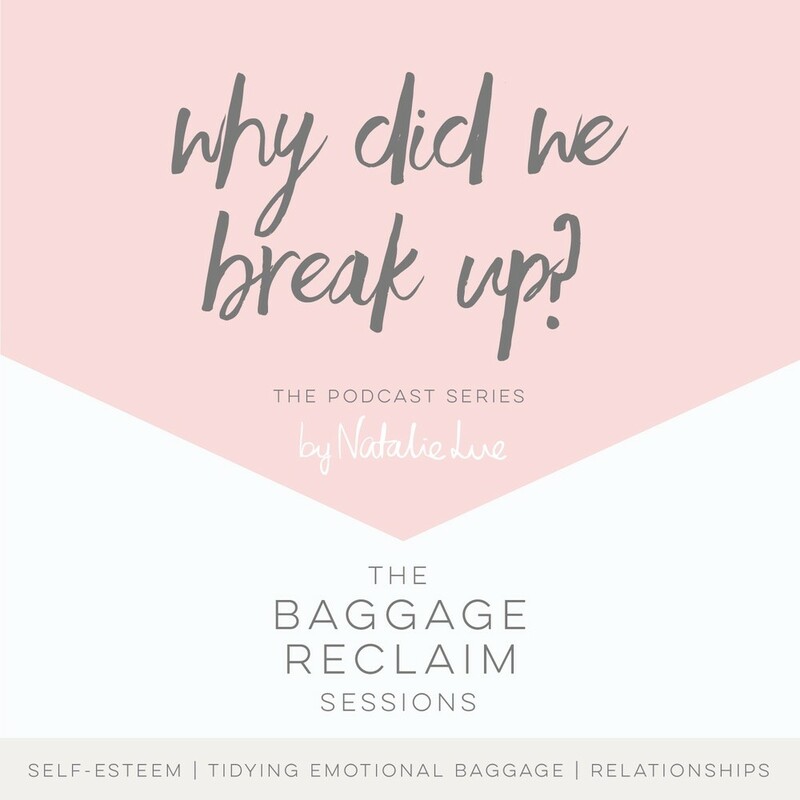 In today’s episode, Hannah fell in love with her “dominant” engaged co-worker with the “strong personality”and left her “safe and comfortable” four-year relationship to stop living a lie. Unfortunately her lover wasn’t haven’t the same attack of conscience and so began a four-month struggle where he went from being intense with her as they went hand in hand through London despite the risk of being caught, to him blowing hot and cold, cancelling arrangements and her feeling depressed and lonely while he dined out with fiancé. It all came to an end when it became apparent that he had no intentions of leaving and so ensued plenty of back and forth and her demanding answers from him and wondering why he wasn’t honest about his intentions. I help her understand why they broke up. Leave a comment or post on Facebook, and please, if you enjoy it, subscribe. If you know someone who would enjoy it, please help spread the word. It all helps. 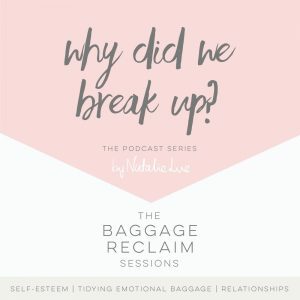 Listener questions can be emailed to podcast AT baggagereclaim DOT com. If there’s a topic you’d love me to talk about, let me know! This is really almost unbelievable; this is almost EXACTLY my story. Thankfully, I found this website about a year ago and I have been going in a better direction since. I read a lot here and have written unsent letters and that helped me a lot to gain some much needed insight. And this podcast was exactly doing the same. Thank you Natalie, you are amazing, and to other women who are dealing with this now:there really is a bright light at the end of the tunnel, just start with focusing on loving and respecting yourself and be willing to face your fears right in the eyes. And:follow Natalies’ advice and tips ???? Hugs to everyone here that is dealing with these issues! Hi Natalie, Divine providence and endless searching on the Internet led me to your website. In trying to end a one-sided, toxic situation (was never a relationship, with a narcissist I purchased two of your books, “Mr. Unavailable/Fallback Girl” and “No Contact”. After almost a year of reading and rereading, crying my eyes out, and nibbling on a ration of crumbs God gave me the needed strength to end it in July of this year 2016. I did not do no contact (still speak via phone) but have not seen him in almost 5 months now. The 1st couple of months I thought I would literally die. Thank God I can see the light at the end of the tunnel. I still miss him a bit but am finding me again and setting new boundaries. I thank God for you and your timely advice. Please keep ministering to such desperate souls as you do. God bless you. Natalie, thank you for publishing my story. I am still travelling at the moment and the relationship I had with Joe has now ended. We are no longer in contact. This whole part of my life has been a massive wake up call and I can honestly say that Natalie’s site has helped me so much. Every time I feel sad or depressed about being alone or single I read the posts on this site and realise that life isn’t so bad. We all need time to be alone, establish boundaries and work on our own values. I honestly felt like this relationship was the end of me and I would never get over the obsession. When we wake up and ask ourselves is this what we really want in life only then do you allow yourself to become open to a real loving relationship. Everyone has the opportunity to turn their lives around and I hope that anyone who is struggling with a bad relationship gives them self a chance and realises that we all deserve to be happy. Rather than punish myself about this relationship I aim to move forward with my life, remain positive and pursuit my dreams. I am forever grateful that you had the strength and courage to reach out to NLM. I have listened to the podcast three times in the last 5 hours. Your story resonates in me. Your courage is deeply inspirational. Please feel in your heart how your experience and your actions with sharing this has had a very positive effect on my life. Please feel a metaphorical hug and pat on your back for helping me get through the experience that I am going through.